We are now using Online Patient Access for ordering your medication. 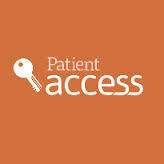 Please pick up an Online Patient Access registration form from Reception to register. Please bring or post your repeat prescription slip to the surgery ticking those items you wish to receive. We regret that telephone requests are not possible as mistakes are too easily made. We require 4 WORKING DAYS to process your order. Please refer to chart below. For those who are not allowed to use the dispensary, if you wish to have your prescription posted to you, a stamped addressed envelope must be included with the request. Patients living more than a mile from a chemist may have their prescriptions dispensed from our dispensary. The dispensary is closed between 1.00pm and 2.00pm each day. The NHS prescription charge is a flat-rate amount which successive Governments have thought it reasonable to charge for those who can afford to pay for their medicines. Prescripton prepayment certificates (PPCs) offer real savings for people who need extensive medication. If you have to pay for four or more prescription items in three months, or more than 14 items in 12 months, you may find it cheaper to buy a PPC. The charge for a single item is £9.00 whereas a three month PPC will cost you £29.10 and a 12 month PPC £104.00. At present we accept only cash and cheques, but are currently looking into card payment devices, which we hope to implement in the first quarter of 2018. We are having to make a change to the repeat prescription service we currently offer to our patients. Due to the constraints of our dispensary it is no longer possible to cope with the demand to provide prescriptions within 48 hours of you placing your order. We will require 4working days to process your repeat prescription order. Any requests ordered while the surgery is closed i.e. weekends and Bank Holidays will be treated as if received on the first subsequent working day. The chart below will help you decide when to order and collect your prescriptions.